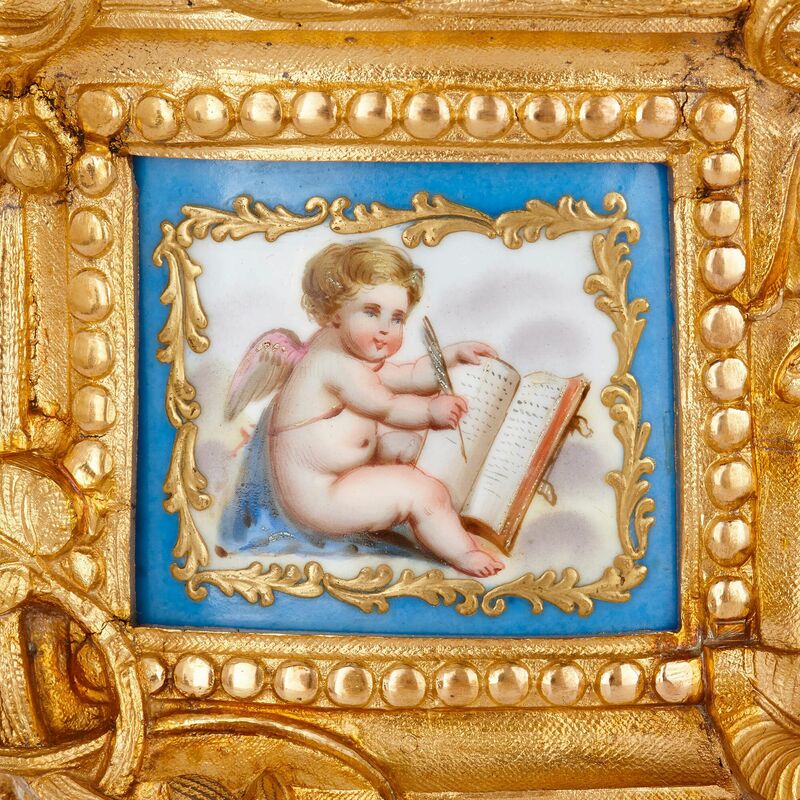 This refined Neoclassical style mantel clock features some beautifully detailed bronze casting, as well as two exquisite Sevres style porcelain panels. 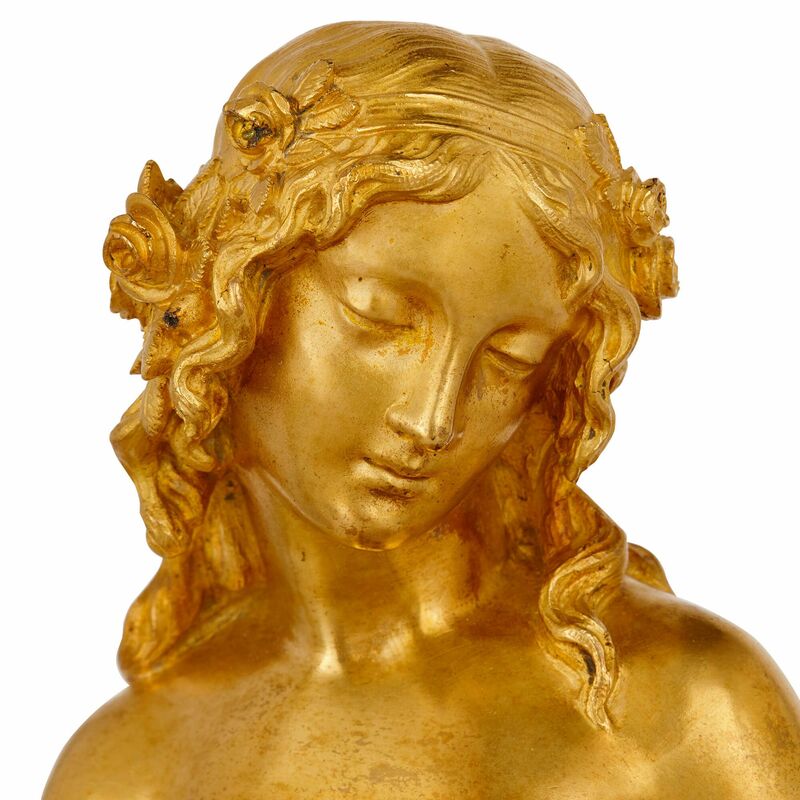 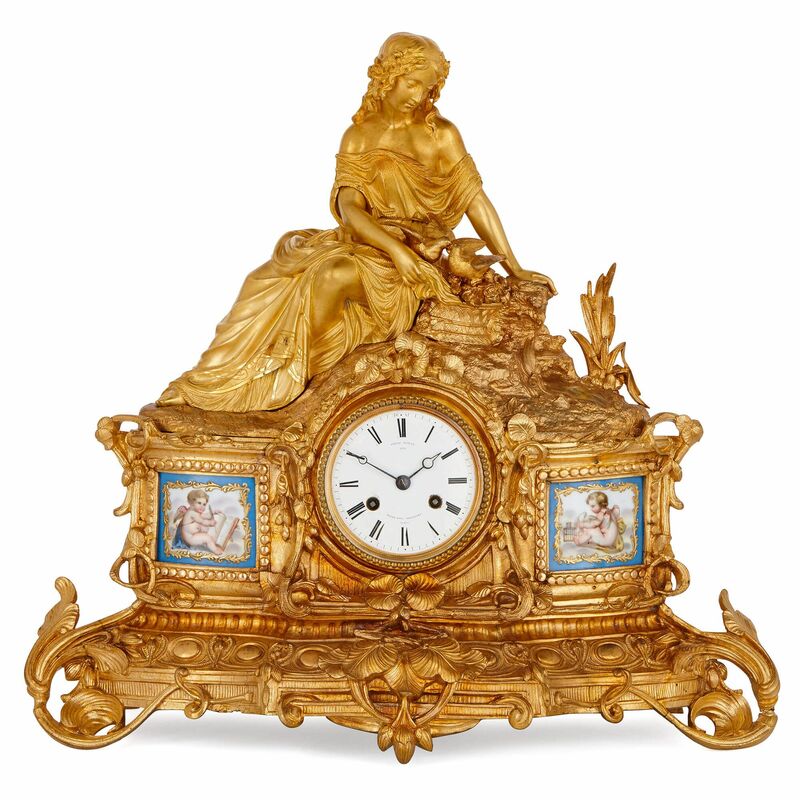 This fine mantel clock is the work of Miroy Freres, a bronze-casting firm specialising in the production of mantel clocks which flourished in mid-19th Century Paris. 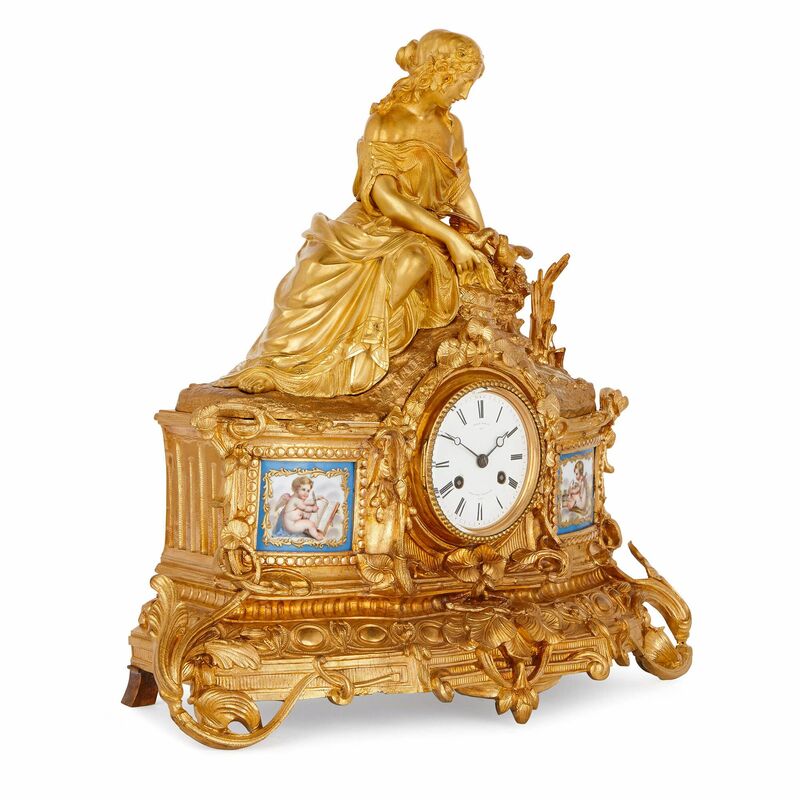 The sculptural and ornamental work on the clock possesses a superb lightness and elegance, making it a fine example of design from the Napoleon III period in France. 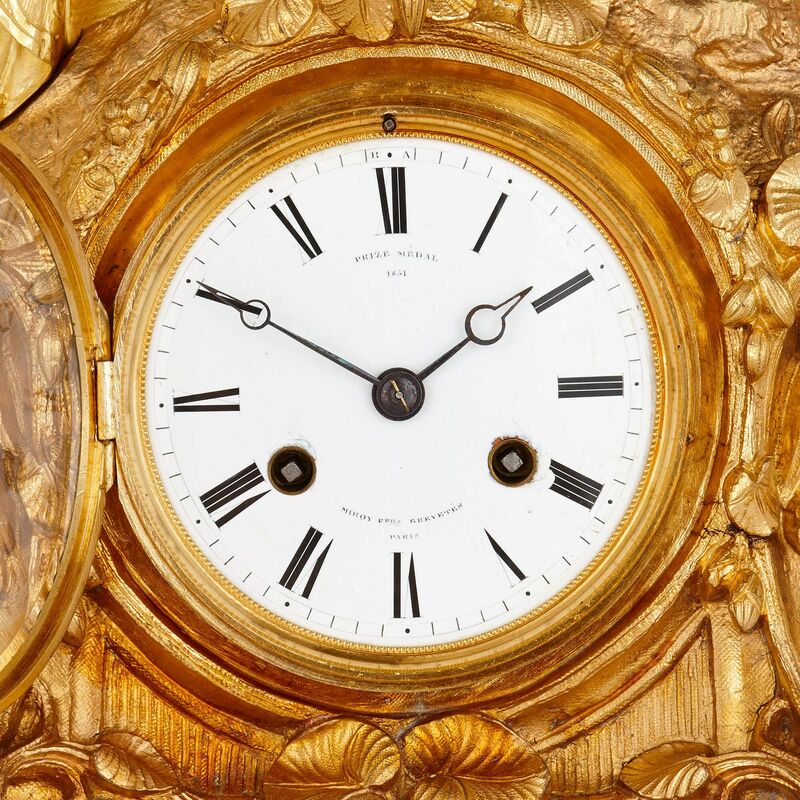 The clock's central enamel dial is signed 'Prize Medal 1851 / Miroy Fres Brevetes / Paris' after the clock's maker: 'Prize Medal 1851' refers to the Great Exhibition at the Crystal Palace in London that year, at which Miroy Freres exhibited. 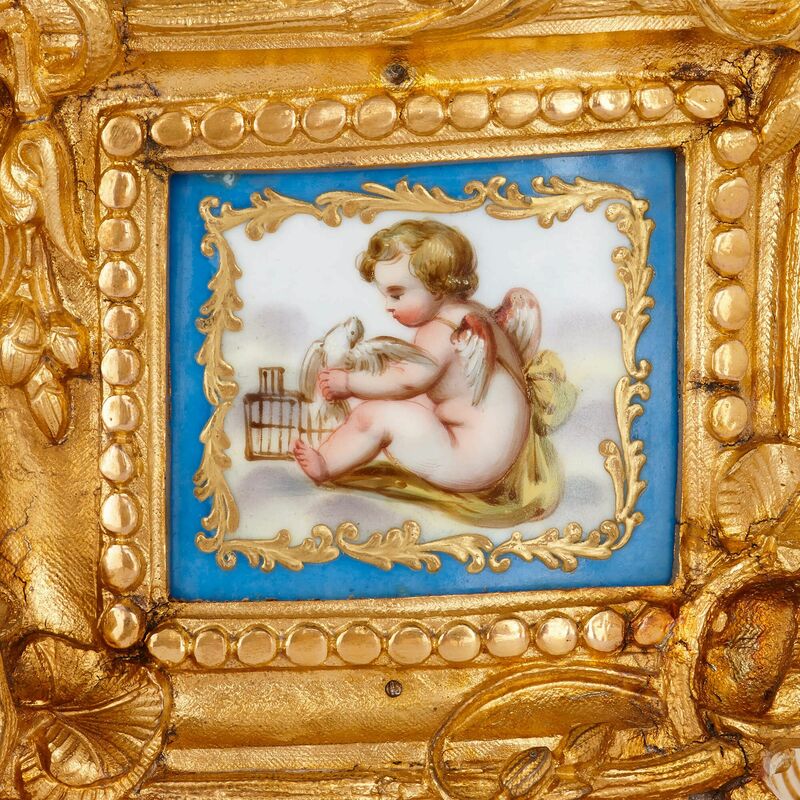 Either side of the dial there are two Sevres style porcelain plaques, showing central scenes of winged cherubs, one writing the other playing with a dove, within gilt borders on a turquoise ground. 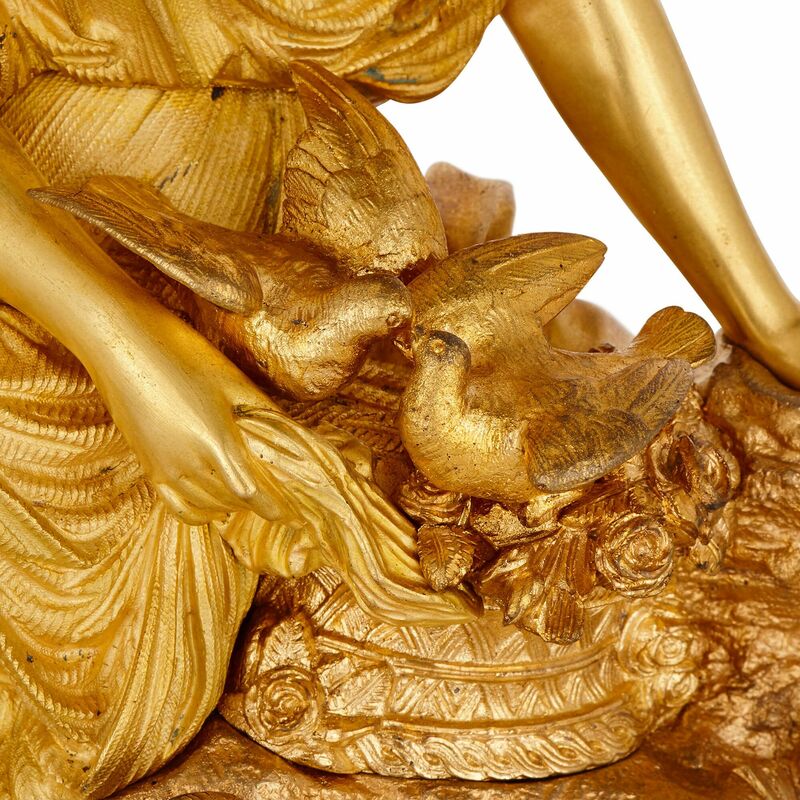 The clock case takes the form of an oval-shaped plinth decorated with scrolling foliage, vines and leaves, and is surmounted by a large full-length female figure with a floral headdress, seated beside a basket with two doves, in a naturalistic outdoor setting.